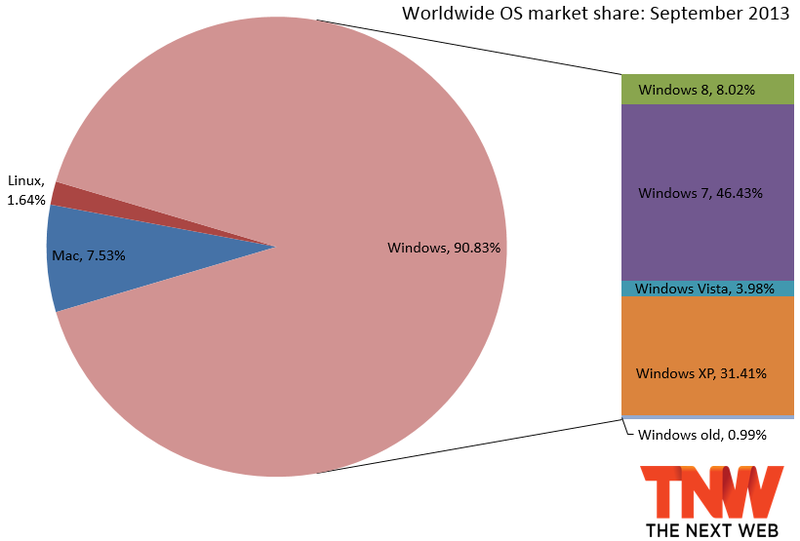 With back-to-school sales now over, Windows 8 has returned to its slow but steady growth in market share. Meanwhile, Windows 7’s hold not only remains strong, but it has outgrown its successor for the first time, showing it will indeed stay the most popular operating system version for a long time. The latest market share data from Net Applications shows that September 2013 was a solid one for Windows 8, which gained 0.61 percentage points (from 7.41 percent to 8.02 percent) while Windows 7 recovered 0.80 percentage points (from 45.63 percent to 46.43 percent). This is the first time Windows 7 has gained more share than Windows 8 since the latter’s release. Windows 8 hasn’t been growing as quickly as some would have hoped, but recently the numbers have been all over the place. August was its biggest gain so far at 2.01 percentage points, while July (0.30 percentage points) was its smallest since its official release in October. We attributed August’s huge jump to the price cut of both the Surface RT and Surface Pro, the RTM of Windows 8.1 and subsequent leaks, as well as corporations speeding up their upgrade paths away from Windows XP. Still, all these factors didn’t seem to be enough and we predicted Windows 8 could end up seeing a drop in share for September. “If it doesn’t, students buying new computers will be the main reason for its continued gains,” we concluded last month. It looks like schools have managed to keep Windows 8 going steady. In January, Windows 7 lost market share for the first time since its release, just a month after passing the 45 percent mark. It has been hovering below that mark ever since, but in August it surpassed the figure again, and now it’s past 46 percent. The gains of both Windows 8 and Windows 7 can be attributed to a minor drop for Windows Vista, which declined 0.13 percentage points (from 4.11 percent to 3.98 percent), and a huge one for Windows XP, which dropped 2.25 percentage points (from 33.66 percent to 31.41 percent). Next month it will likely be below the 30 percent mark for the first time in years. So far this year, Windows has lost share every month except for March and July. 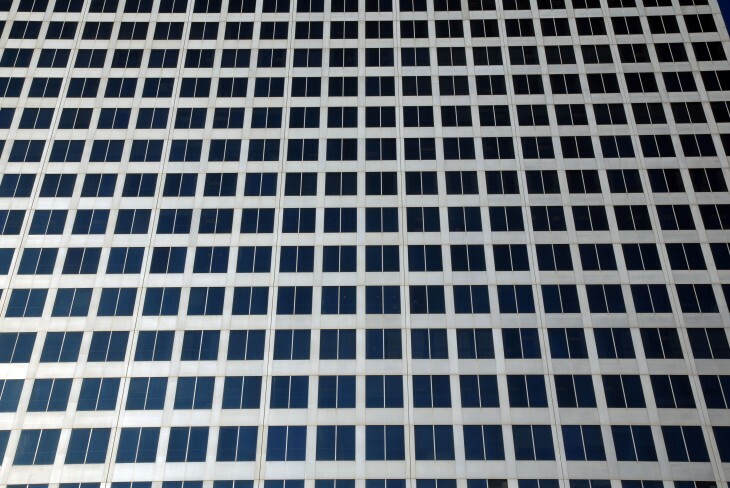 Between August and September, Windows lost 0.36 percentage points (from 91.19 percent to 90.83 percent). This loss was OS X’s and Linux’s gain: up 0.25 percentage points (to 7.53 percent) and 0.12 percentage points (to 1.64 percent), respectively. Net Applications uses data captured from 160 million unique visitors each month by monitoring some 40,000 websites for its clients. StatCounter is another popular service for watching market share moves; the company looks at 15 billion page views. To us, it makes more sense to keep track of users than of page views, but if you prefer the latter, the corresponding data is available here (Windows 8 is at 7.46 percent).